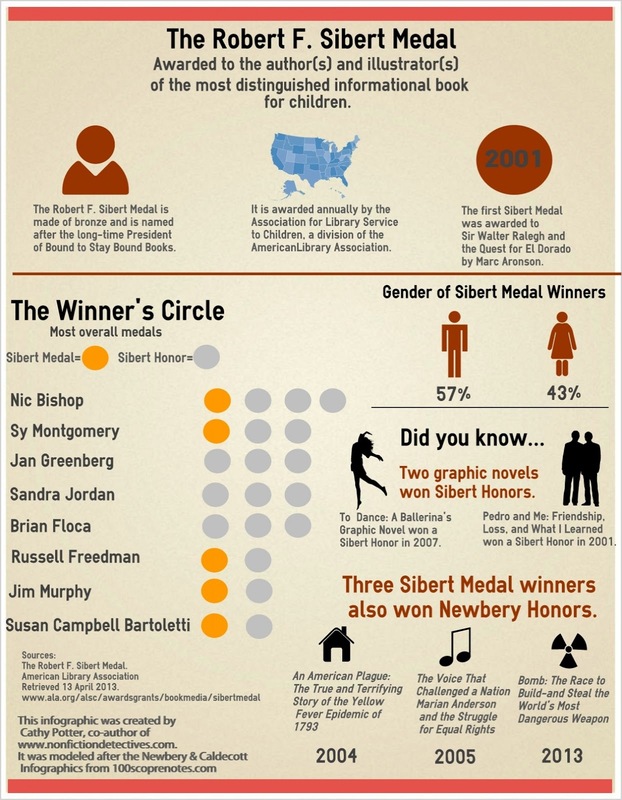 I was intrigued by the data that Travis from 100scopenotes.com shared in his Newbery Medal Infographic and Caldecott Medal Infographic, so I decided to try my hand at creating an infographic about the Sibert Medal. I used easel.ly.com and adopted the same format Travis used so data could be compared among the three awards. 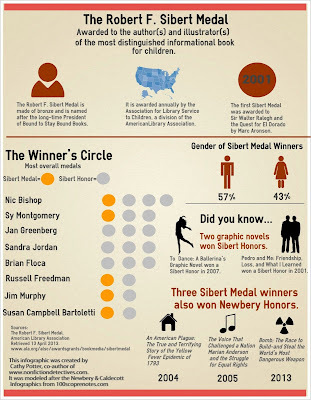 The results are really interesting and may compel readers to go back and revisit some favorite nonfiction titles from past years. Yes, it is a cool way to show information.